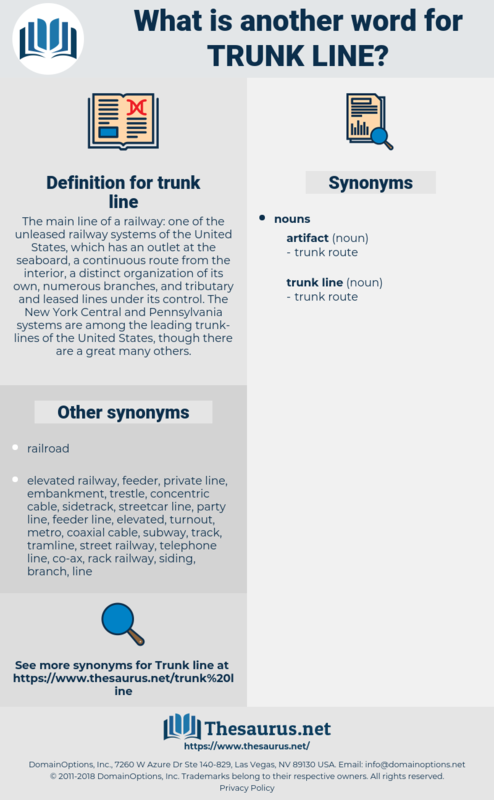 What is another word for trunk line? The main line of a railway: one of the unleased railway systems of the United States, which has an outlet at the seaboard, a continuous route from the interior, a distinct organization of its own, numerous branches, and tributary and leased lines under its control. 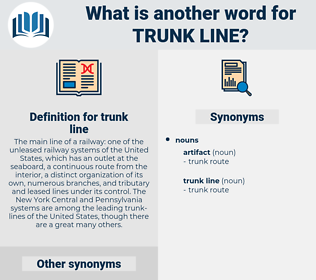 The New York Central and Pennsylvania systems are among the leading trunk- lines of the United States, though there are a great many others. rail line, telephone circuit, railway line, phone line, subscriber line, line, telephone line.